Every year we are blessed in our community to have "Christmas on The Square" in Suwannee County, which is Live Oak, Fl. It brings many of us together that only see each other annually and many local talented singers, dancers along with vendors selling their items and amazing food. From 3/4 year olds to adults we enjoy the sounds of Christmas throughout the day and get to see many of our customers that we have provided services for. 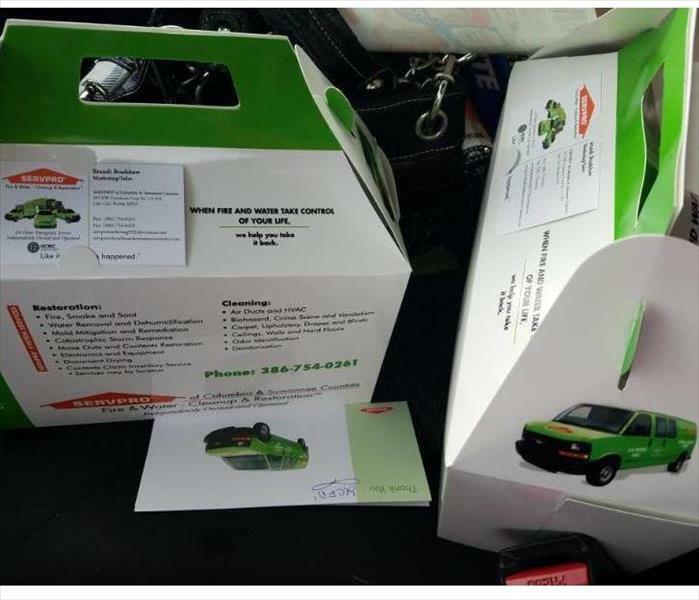 It is a huge way to just say "Thank you" by giving out SERVPRO trinkets and just saying Merry Christmas! 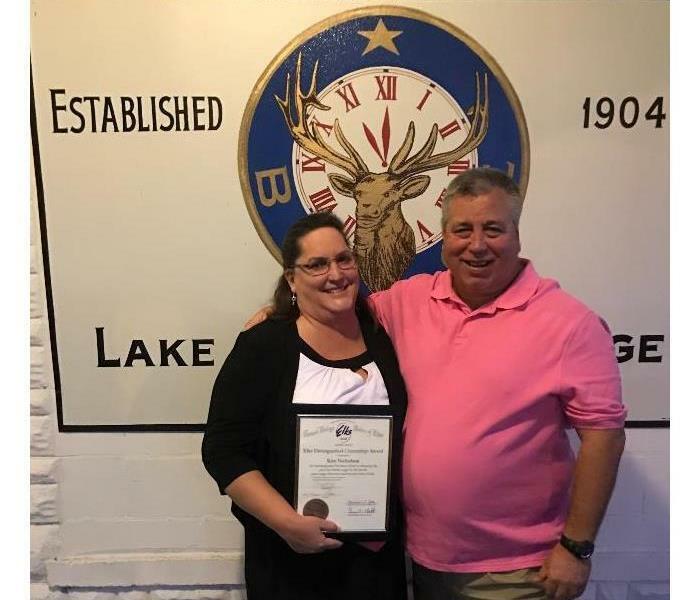 Being members of the local Elks Lodge #893 has made possible for us to donate time and energy in so many ways to our community and local VA. We help collect items to take to the domicilary. We have brought in a singing/dancing group called Revolution several years in a row to perform at our local VA hospital and domicilary. We collect easter eggs for the local elementary schools, provide scholarships to teenagers and that is amongst just a few of the things we do. Another photo from one of the events we chose to sponsor this year. Photo is one of our sponsoring flags flyng in the wind. Thankful for the relationship with PGA so we have this to use in our community at events. Hundreds of people came out and we had beautiful weather. 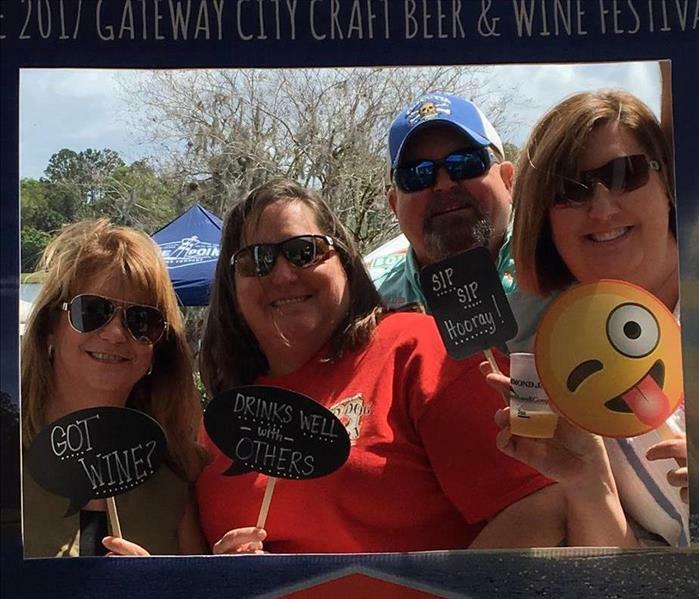 For the 2nd time we sponsored and attended the Craft Beer & Wine Festival. What an amazing day we had for it. Not to hot and not cold or raining! We saw many amazing vendors from around the state as well as some local brewers getting ready to open. So awesome that our community has these events and we are able to sponsor and help our chamber bring them to Lake City! Looking forward to next year already! Saying Thank You to Our First Responders! Every now and then our Marketing Representative Brandi takes things to our Property Managers, Agents, Adjusters, First Responders, and Customers in general. Today happened to be the day Brandi took cookies to the local Police and Fire Departments. We love building and maintaining relationships with people who have used us in the past or may need us in the future. SERVPRO of Columbia and Suwannee Counties participated in the inaugural Ronald McDonald House Charities "Build a house for the House" Competition. We had 1.5 hrs to completely assemble our "masterpiece". 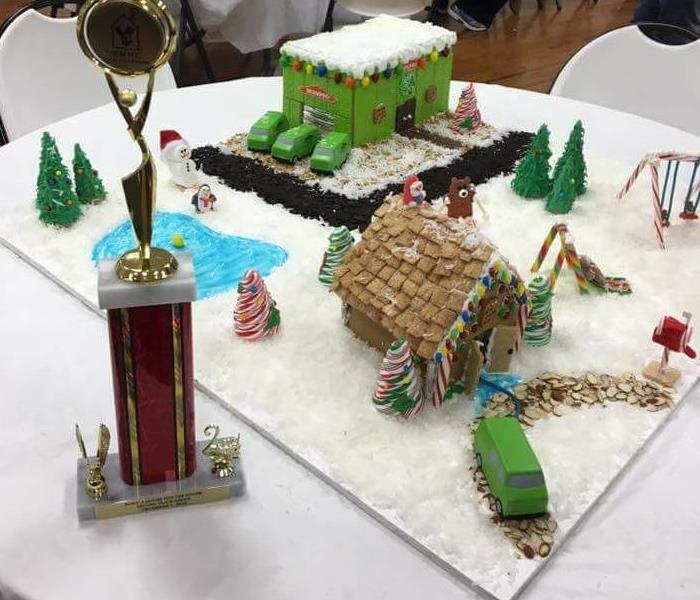 In true SERVPRO fashion our Gingerbread house had to be unique so....It had a water damage. We also built the SERVPRO warehouse in the background. 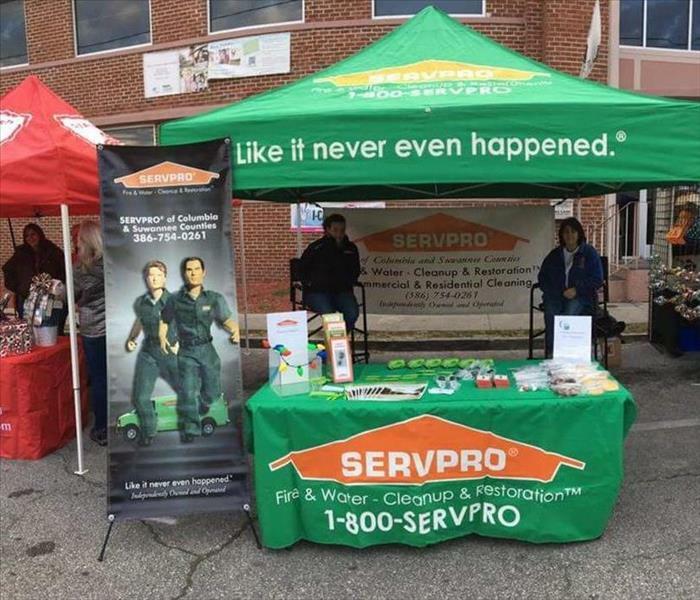 Everything on the board was edible except the SERVPRO Vans. We won SECOND place which we are very proud of. All proceeds from the event went directly to our local Ronald McDonald House located in Gainesville, Fl. Marketing Rep Brandi and Cleaning Specialist Sharon had so much fun. They got to see familiar faces and meet new ones! We truly are part of an awesome community. We were able to answer questions about "what SERVPRO does", hand out little trinkets, and take up donations for Relay For Life in exchange for baked goods. We were excited to participate in Trunk or Treat/ National Night out for 2016. 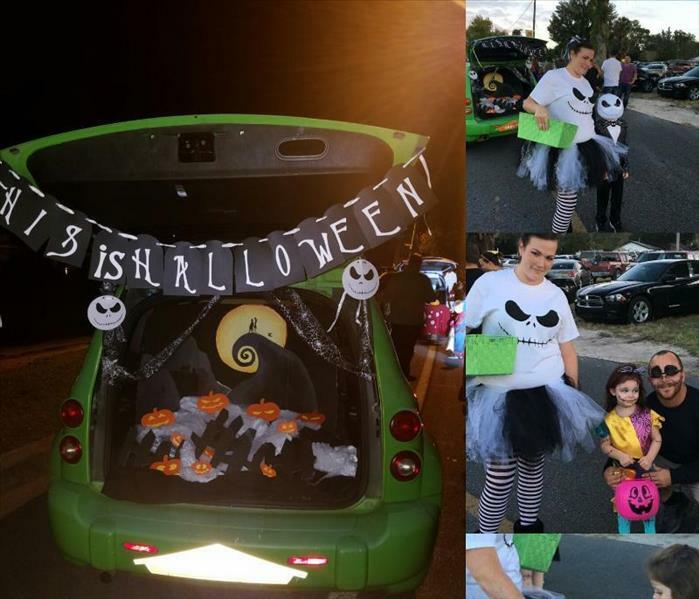 Our Marketing Rep Brandi chose the Nightmare before Christmas theme and it was a huge hit! We have some adorable kids in Columbia County. 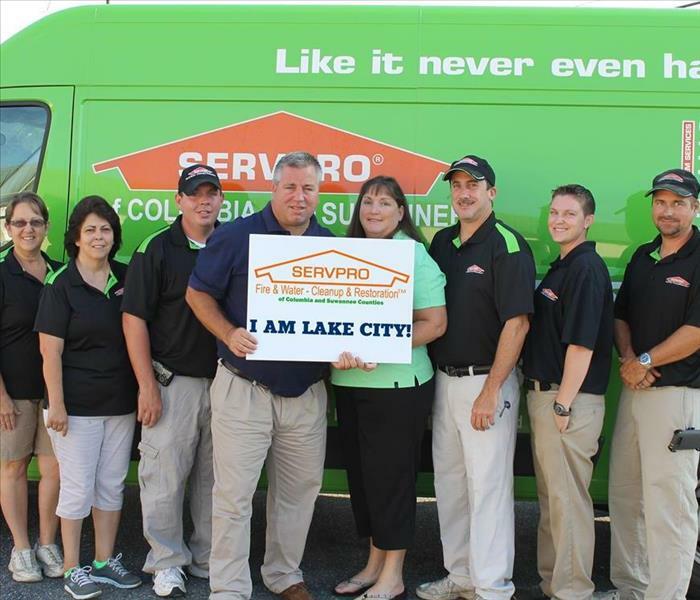 The staff of SERVPRO of Columbia & Suwannee Counties - proud to be a locally owned business and part of these communities! Owner of SERVPRO of Columbia & Suwannee Counties, Chuck Nicholson, volunteered along with other members of the Elks Lodge # 893 to aid in bringing the Veterans out to watch the parade from the VA. Amelia, marketing rep and Kim, owner also attended to watch the parade. Was a beautiful day to honor our veterans! 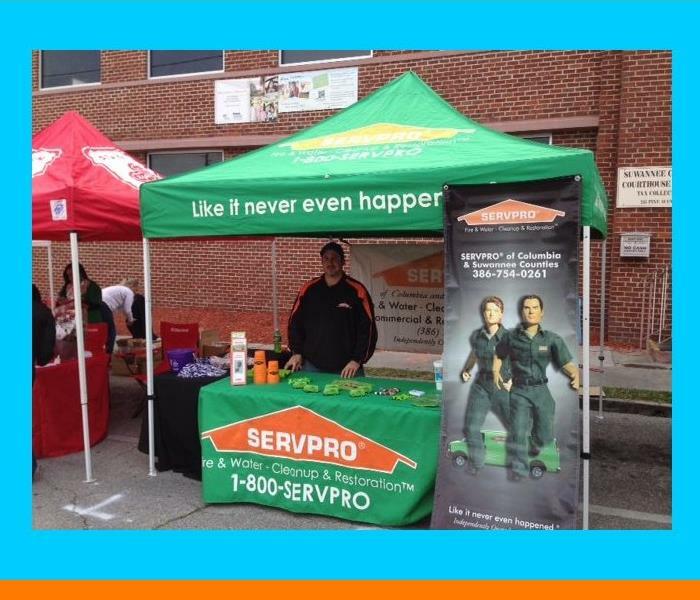 Amelia, marketing representative for SERVPRO of Columbia & Suwannee Counties, attended the parade in Live Oak. What a beautiful day to honor all of our Veterans! Was a bit chilly, but we were glad to set up for the annual Christmas on The Square downtown Live Oak again this year. Handing out trinkets and seeing past customers and hopefully welcoming new ones. We also were glad to be next to the local State Farm and socialize with the Good Neighbor Bear all day through. 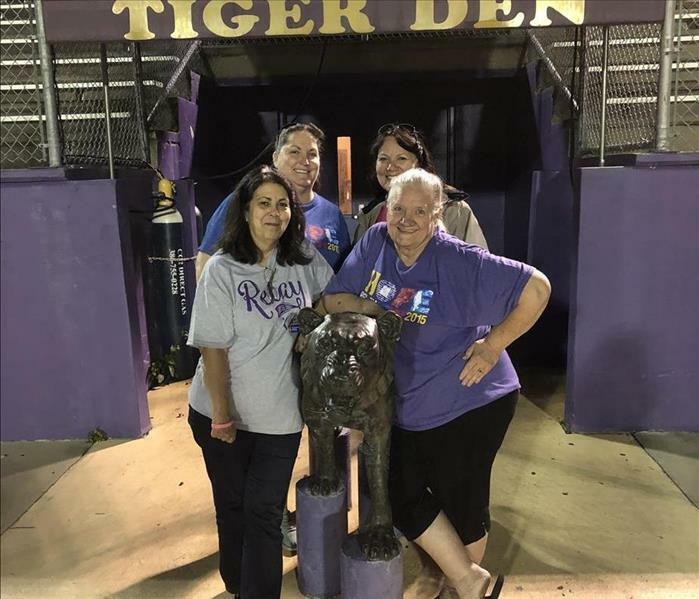 As a member of the Altrusa Club of Lake City, Kim Nicholson has been blessed to be a part of many happenings since 2010 when she became a member. This past weekend a group of us went to Tampa to our annual conference where we donated art supplies to the host clubs charity this year which is in Gainesville. We as a club were also awarded many awards, but to top off the event the Lake City Club won the esteemed First Place Outstanding Club Award! In addition we won first place for the Mamie L Bass Service Award in recognition of our Get Fit project last year!